Incidentally, regarding Git's case-sensitivity, I think that the behaviour you saw depends on what kind of filesystem you're on - for instance, Mac OS X's filesystem 'HFS+' is case-insensitive (tho confusingly, also 'case preserving') - so if you have a file named 'Service_interface_spec.rb', then 'service_interface_spec.rb' effectively already exists - so the move is rejected. If you execute the same command on Linux- which IS case-sensitive - the move will be successfully applied. Internally, the Git model represents filenames as pure-byte representations, staying agnostic about the whole encoding business -so typically behaves in a case-sensitive way. Thanks for this, Roberto. And good point about the file system, that makes perfect sense – I hadn't made that connection. Thanks for the clarification! Great tips! Thank you, Matthew! It's worth noting that purging history in the new repositories may lose useful history of content that, while relevant to the component, originated in a file that currently isn't. 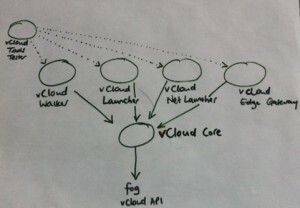 Say, for instance, some functionality grew as a feature in vcloud-walker files, before being moved to a vcloud-core file. If the new vcloud-core repo is purged of any vcloud-walker file history, git will simply show the file as being created at the point the content was moved into a vcloud-core file. 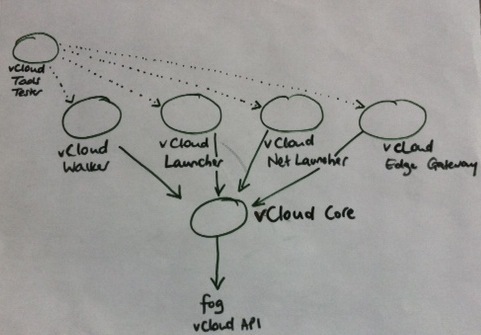 If the history were kept in full, it would be possible to track even the earliest revisions of the feature (when it was part of vcloud-walker). This is particularly useful for git commands that will detect moved or copied lines across files. For example, git blame with the -C option will attribute line changes to the person who edited the line, rather than someone who moved the function.